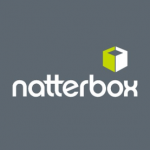 Natterbox is a cloud-based business phone system that is embedded and managed within Salesforce. It provides call center solutions, automatic call recording, global numbers, payment card industry (PCI) payments, and more. In this article, we cover Natterbox reviews. Ready to get started? Request a demo. Users who gave Natterbox a positive review said that it helps them manage the many calls their offices receive and make daily. Others said that its dashboard is easy to use. One user who gave Natterbox a positive review on Capterra said that its dashboard is very easy to navigate. He also likes that his office no longer needs to install desk phones because they can make and take calls online. As of March 2019, there aren’t any negative Natterbox reviews online. If you are a past or current Natterbox customer, leave a review to help other business owners who are deciding whether or not to use the software. The Natterbox pricing details are not available on its website. You need to contact support to get specific pricing details based on your business requirements. However, according to a third-party website, its rate starts at $20 per user per month. Ready to get started with Natterbox? Request a demo. 6 Best Small Business VoIP Phone Service Providers 2019: Choosing a telephone provider affects your day-to-day operations and ongoing costs, but we’ve done much of the research to help you navigate through the range of providers and make an informed decision. Read this article for a comparison of the six best options for voice-over-internet-protocol (VoIP) software. Do Natterbox users need to have physical phones or hardware? Natterbox is embedded in Salesforce, so users can make calls with no hardware or software installed on their devices, provided that there is an internet connection. Does Natterbox offer services for Non-Salesforce users? Yes, it does. Non-Salesforce users are given web phone access via a standalone browser window. Have you read these Natterbox reviews and are still not sure if it’s the right fit for you? Read our reviews of all top VoIP software.